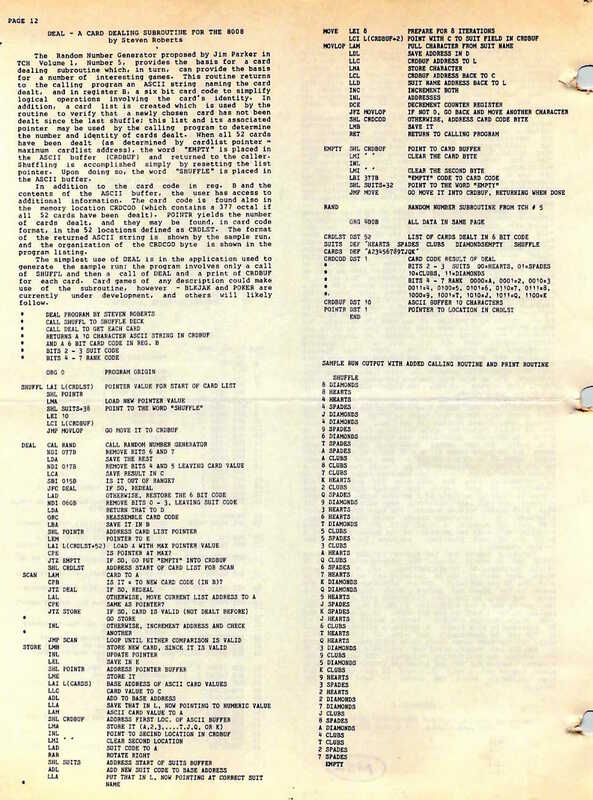 This little relic is an echo of my 8008 system, and was published in Volume 1, Number 8 of Hal Chamberlin’s The Computer Hobbyist newsletter back in 1975… one of the first publications devoted to the personal computer community in the very early days. 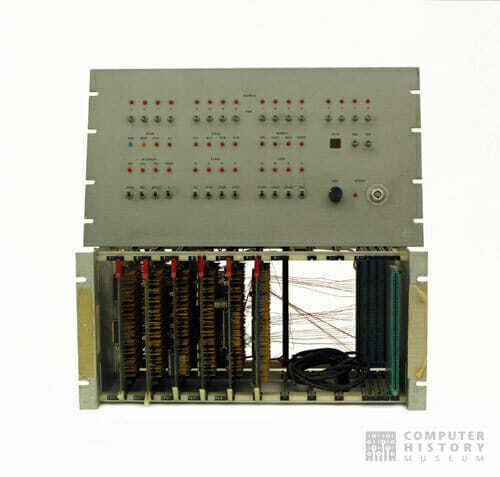 My little contribution was a card-dealing subroutine in 8008 assembler, capable of returning a text string for a random card each time it was called. It would shuffle on command, dole out cards as requested, and then reply with EMPTY once all 52 had been served. This was pretty magical in those days… I was 22 and plunging into a huge new world, dealing parts from Bill Godbout and other suppliers out of my Louisville apartment, and pulling all-nighters to make my homebrew beast dance. Good times!